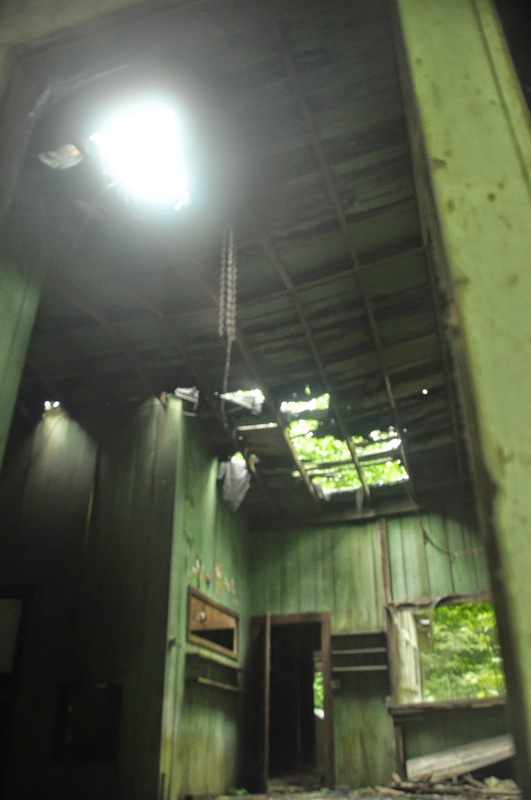 The Spence Cabin in the Elkmont Historic District has survived. And through work by the National Park Service, it is now thriving. 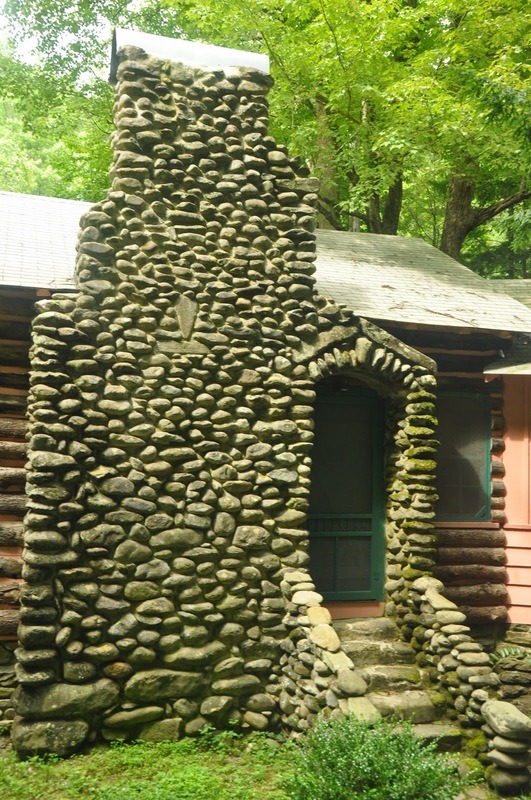 The historic district, located about six miles up into the mountains just outside of Gatlinburg, TN, was once the site of a logging operation and became the location of summer homes for the more well-to-do from the surrounding areas. We became acquainted with the district having camped at Elkmont for the past 30-40 years. There was a tug-o-war inside the park service about what was going to happen to the buildings. The park service allowed 50-year leases to people who owned land in the area. Those leases, initiated when the area became a national park, expired late in the last century. There seemed to have been about 30-40 houses in the area. The first major issue that had a direct effect on our family was that of the decision about the Wonderland Hotel. Except for the lodge atop Mt. LeConte, it was the only such place in the park. It was our annual ritual to eat breakfast there on the day we checked out of the campground and headed home. The facility was vacated and each year we saw it deteriorate more and more. A fence was placed around it to keep people out so that no harm would come to them. The place just fell apart. It was part of the park service program, at the time, to let nature take its course and let the land take over. There was back and forth over the years on whether or not that was the best way to deal with the structures. And then, minds changed. Some buildings would be allowed to survive and some were even brought back up to what they looked like in their heyday. The Spence Cabin was one such structure. It is the one place i would love to own. 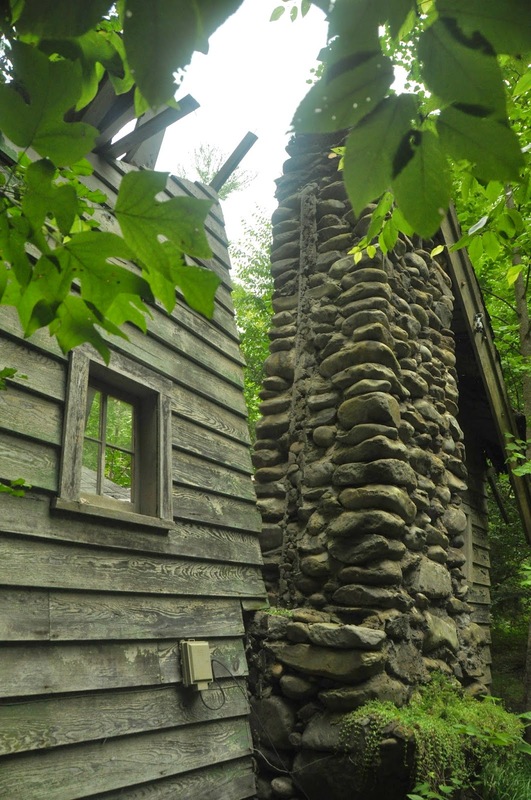 The now-restored cabin sits on a hillside overlooking the Little River. And down at the river’s edge is a patio that allows one to enjoy the cascading waters tumbling down the mountain side. In the summertime, the cool flowing waters act an an air conditioner. In the dead of winter, I assume one wouldn’t be able to enjoy the patio as much, but one will never know personally, because the area is closed to the public during that time of year. On our last trip, I meandered over to walk the pathway that runs parallel to the river and discovered that the cabin had been restored. It is available for day use including weddings. 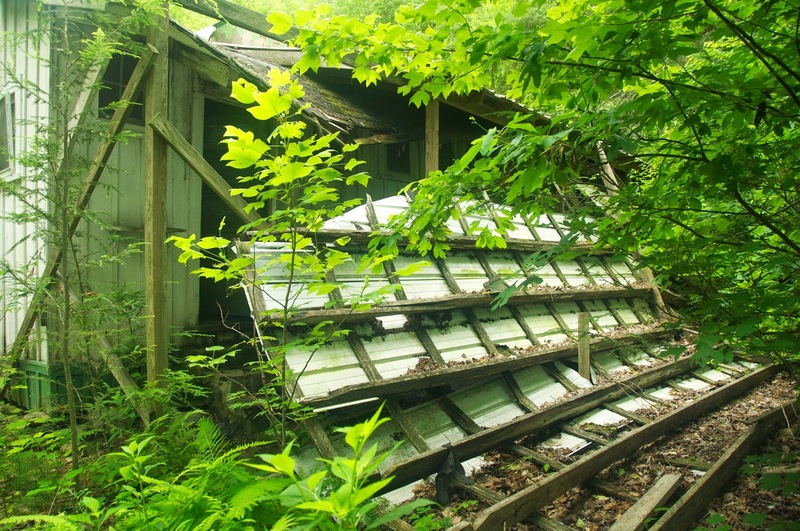 And after visiting that cabin, meandering further down the trail, one could find other cabins that were not so lucky — holes in their roofs, walls bulging out and rafters collapsed. Those were a sad sight. But I can still enjoy the area knowing that all the structures will not be allowed to fall in disrepair and disappear. The land offers us a look at and the enjoyment of nature, but it also offers us a glimpse of how people managed to enjoy the area before it became the Great Smoky Mountains National Park.